Published on January 30, 2018 in Business, Carnival, Entertainment, General T&T, Music and Politics. 2 Comments Tags: Calypso, Calypsonians, Raffique Shah, T&T Govt. They looked pathetic, three of the leading calypsonians in the country—Chalkdust, Sugar Aloes and Pink Panther—as they begged the Government for a “mere half-a-million-dollars” to operate the Calypso Revue tent over the three-week Carnival season. Admitting that they had already received $100,000 funding that was woefully inadequate, the top bards invoked the name, memory and legacy of the great Lord Kitchener, who founded the Revue 55 years ago. For Kitchener’s sake, they pleaded, grant us the half-a-mil. Published on January 22, 2014 in Africa, Books, Business, General T&T, Rwanda, USA and Violence. 1 Comment Tags: Abuse, Africa, African, Disaster. 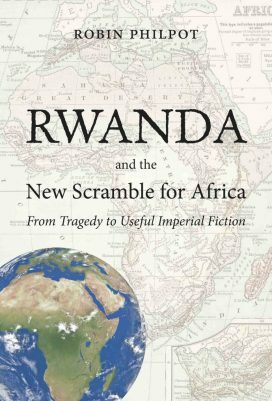 Robin Philpot’s important new book Rwanda and the New Scramble for Africa is an eye-opener and essential reading for anybody who wants to understand the recent history of Rwanda, ongoing U.S. and Western policy in Africa, and how efficiently the Western propaganda system works. As in the case of the wars dismantling Yugoslavia, there is a “standard model” of what happened in Rwanda both in 1994 and in the preceding and later years, a model that puts the victorious Tutsi expatriate and Ugandan official Paul Kagame, his Rwanda Patriotic Front (RPF), and his Western supporters in a favorable light and the government of Rwanda, led by the Hutu Juvenal Habyarimana, in a negative light. Philpot challenges this model in all of its aspects and shows convincingly that, in a virtual miracle of systematic distortion, this version of history stands the truth on its head. Published on May 19, 2013 in Business, Caribbean, Finance, General T&T, Media, People's Partnership and Politics. 4 Comments Tags: Abuse, CAL, Politics, Raffique Shah. IF ANYONE can produce proof that there was a time when this country’s state-owned national airline, in whatever incarnation, made a real profit over a sustained period, meaning at least one year, I would surrender my sanity and vote in the next election. I feel safely insulated from having to do something so unpalatable because I know that in the post-Independence history of BWIA, now CAL, taxpayers who may have never travelled on an aircraft have paid dearly to keep the airline afloat. In the process, they have funded generations of joy riders who are stricken with a stratospheric strain of “gas brains”, and affliction I call “plane brains”. Published on March 22, 2013 in Business, General T&T, India, Media and Race and Identity. 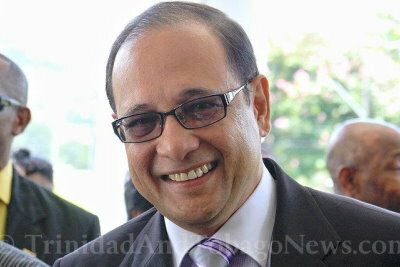 14 Comments Tags: Abuse, Indian High Commissioner, Malay Mishra, T&T Govt, Trade. Indian High Commissioner Malay Mishra is calling on the Government of Trinidad and Tobago to stop the Indian trade fairs that are operating in this country. Speaking at yesterday’s business forum held by the High Commission of India, in collaboration with the Trinidad and Tobago Chamber of Industry and Commerce, at the chamber building in Westmoorings, Mishra said the Indian government distances itself from the activities of the “so-called” Indian trade fairs. Published on March 4, 2013 in Business, General T&T, Race and Identity and Racism Watch. 16 Comments Tags: African, Akilah, TT Ads. 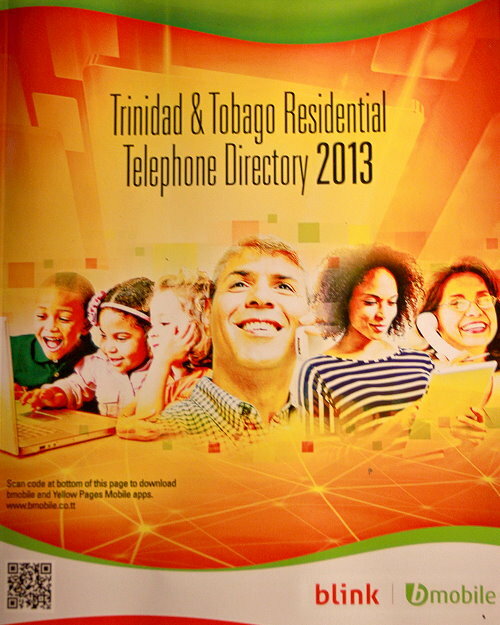 EDITOR: I have just viewed the Trinidad and Tobago Residential Telephone Directory 2013 for the first time. The image consists of 6 faces. I wonder what percentage of Africans and Indians are dark-skinned in Trinidad and Tobago? Published on September 14, 2012 in Business, corruption, Court, Crime in T&T, Finance, General T&T, International, Law, Media, Money Laundering, Opposition Party, Parliament, People's Partnership, PNM, Politics, UNC and USA. 10 Comments Tags: Abuse, Anand Ramlogan, Attorney General, Crime in T&T, Ishwar Galbaransingh, Kamla Persad-Bissessar, Keith Rowley, Piarco corruption, Politics, Steve Ferguson, T&T Govt. PRIME Minister Kamla Persad-Bissessar issued directions to Attorney General Anand Ramlogan to table last-minute amendments to bolster legislation designed to shield the State from the legal fallout of its decision to abruptly repeal Section 34 of the Administration of Justice Act, it was revealed yesterday. 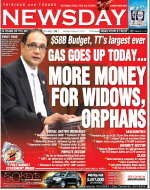 Published on September 12, 2012 in Business, corruption, Court, Crime in T&T, Editorial, Finance, General T&T, International, Law, Media, Opposition Party, People's Partnership, PNM, Politics and USA. 8 Comments Tags: Abuse, Anand Ramlogan, Attorney General, Crime in T&T, Ishwar Galbaransingh, Kamla Persad-Bissessar, Keith Rowley, Piarco corruption, Politics, Steve Ferguson, T&T Govt. THE PARLIAMENT sits today to urgently pass legislation to repeal a section of a new law, after the Government’s decision to proclaim the law opened the door to a wave of applications to the Supreme Court which could see businessmen Ishwar Galbaransingh and Steve Ferguson, as well as several others accused in the Piarco corruption inquiries, walk free without trial.